Showerguard is a New Zealand designed product made to fit in to new or existing homes and be simple to set up with no maintenance or adjustments, constructed from quality brass and electronic components Showerguard is built to last, limiting long showers and excessive water flow rates to save you hundreds of dollars per year in water and energy expenses. 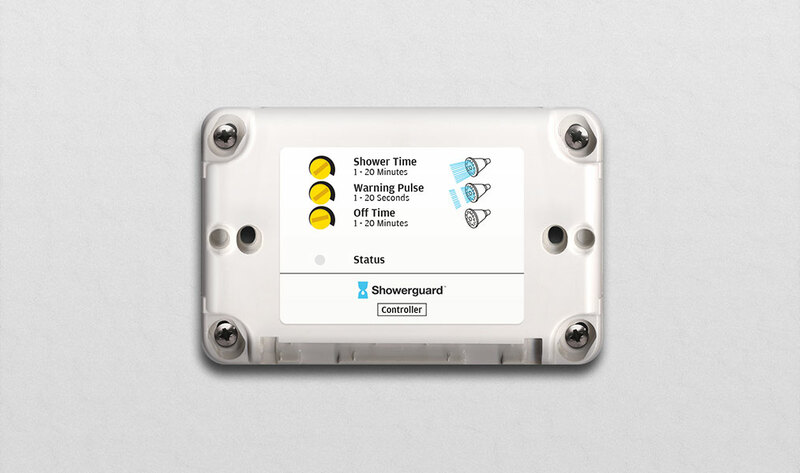 Showerguard is made from two main components, an electronic timer and a water flow switch, both of which work together to limit excessive shower times and water flow rates. 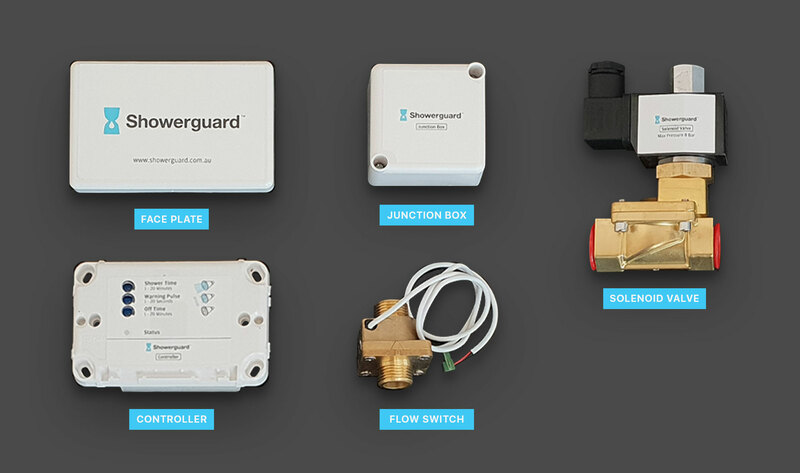 In the box you will find all of the components needed for an electrician and plumber to install Showerguard into your home or business including a Controller & Faceplate, Flow Switch, Solenoid Valve, Junction Box and an Installation Guide. All components are high quality and built to last with brass fittings having a 20 year guarantee. For more detailed product specifications please visit the Mains pressure or Low pressure Showerguard product page in our Store. Showerguard is easily installed by both an electrician and plumber and is designed to be fitted into either new or existing homes with mains or low pressure hot water cylinders. There are two main components that make up Showerguard, a water flow switch and an electronic timer, the flow switch is a series of high quality brass valves installed by a plumber on to your showers hot water supply pipe , this is the heart of Showerguard as it reduces excessive water flow rates to between 7 to 10 litres per minute and turns off the hot water to your shower when instructed by the electronic timer. 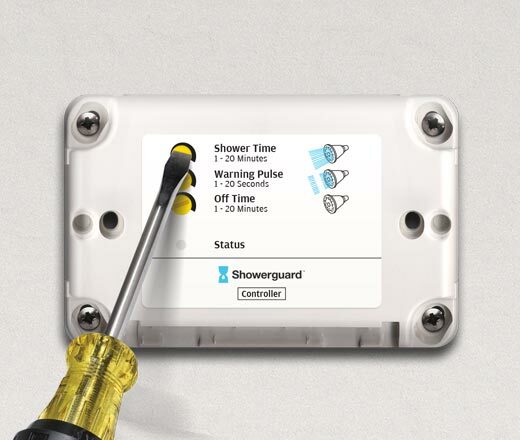 The electronic timer is the brains of Showerguard, this is where you adjust the shower time anywhere between 2 to 20 minutes, warning pulse and off time and is connected by an electrician to the water flow switch, wired to your homes electricity then mounted discretely into the hot water cupboard. 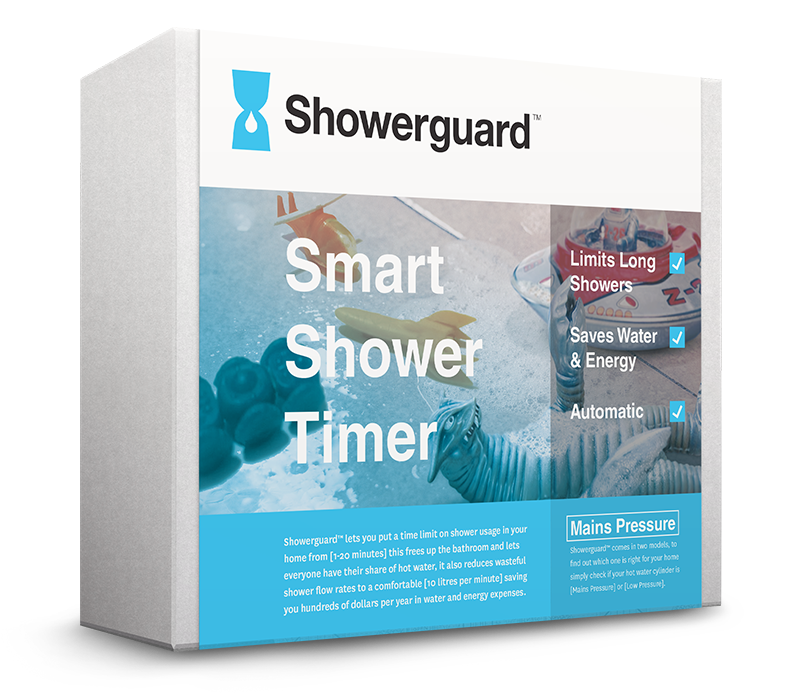 Showerguard does require some power to operate but only costs around $3 per year. Once both of these components are installed simply set your desired shower time with a screwdriver and Showerguard will work automatically in the background limiting long shower times and reducing excessive water flow rates with no need for any maintenance or adjustments. We created a simple conversation guide to help when contacting a plumber or electrician, it contains the type of questions you can ask to ensure you find the right trades person for the job. Download the latest Showerguard installation guide below. Download the latest Showerguard user guide below.